It’s one of those iconic British shopping locations that tourists to London want to visit, BUT it’s not in London. Bicester Village has long been a favourite of us locals wanting to find themselves the biggest and best brands but at up to 60% off the usual retail price. Find those quality British and International brands at prices you can afford as countless Chinese, Russian and Gulf states shoppers have done in ever increasing numbers. This is a relaxing yet vibrant shopping experience with over 130 luxury outlet boutiques of world-leading British and international fashion brands including, Anya Hindmarch, Diesel, Agent Provocateur, Mulberry, Temperley London, Paul Smith, Pringle of Scotland, Tod’s, Prada, Burberry, Gucci, Givenchy, Anya Hindmarch, Bally, Cath Kidston, Church’s, DKNY, Hugo Boss, Matthew Williamson, Rupert Sanderson, Salvatore Ferragamo, Samsonite, Ted Baker and Temperley London. And the ultimate English supplier of luxury stationery and leather accessories Smythson. 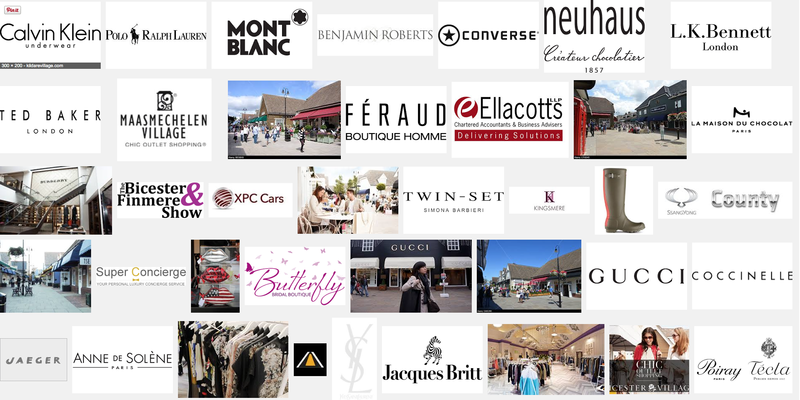 There is also an extensive range of restaurants and cafés at Bicester Village. Enjoy a coffee in Pret A Manger or Starbucks. There’s Italian cuisine at Carluccio’s, the French restaurant of Villandry or perhaps you prefer a Thai salad, noodles, curry or stir-fry from the new culinary import from London Busaba Eathai. Rather than travel by coach from a set location in London, leaving at a set time and returning at a set time, whether you finished your shopping hours ago and had to wait, or still have more retail therapy to do. Why not travel in the comfort of a private car with more than enough room for anything you might want top purchase. I’d collect you at your hotel, and we’d drive through the beautiful Oxfordshire countryside before indulging in a touch of shop till you drop! 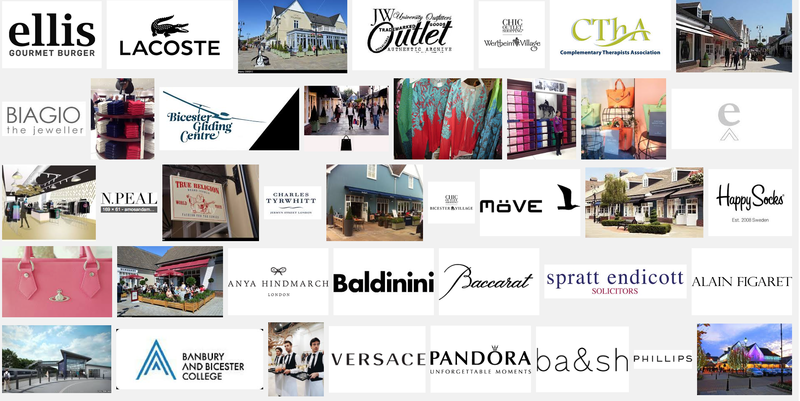 Bicester Village alas has a number of restaurants and cafes to keep you going all through the day. Then whenever you’re ready, we will head back to your hotel. I make an excellent shopping companion and know where to find some great bargains, or alternatively I’m very happy for you to go off and do your own thing.